Carnegie Mellon University provides reasonable accommodations to staff and faculty members with disabilities to enable them to perform the essential functions or duties of their positions. An accommodation is deemed “reasonable” by the standards of the Americans with Disabilities Act (ADA) unless the accommodation would fundamentally alter the nature of the goods, services, facilities, privileges, or advantages offered or would result in an undue burden, i.e., significant difficulty or expense. The final determination for providing appropriate and reasonable accommodations rests with the institution. Equal Opportunity Services (EOS) assists faculty and staff members seeking accommodations for disabilities. You may self-identify as disabled at any time through Workday or by contacting EOS at employeeaccess@andrew.cmu.edu. Submit the Request for Accommodations Form [pdf] to employeeaccess@andrew.cmu.edu. EOS will acknowledge receipt of the form and initiate an interactive process through which a university representative will work with you to address your accommodation needs. You will be asked to submit appropriate documentation of the disability. You will make an appointment with a representative from EOS to discuss your accommodations and review a draft Employee Individual Accommodation Plan. Before drafting an Employee Individual Accommodation Plan, EOS may require additional information from a medical professional to insure accurate accommodations are provided. Please provide the medical professional with the Accommodation Letter — Medical Professional Response [docx] and submit to employeeaccess@andrew.cmu.edu. EOS will provide you with a Summary of Accommodations Memorandum and a finalized Employee Individual Accommodation Plan. The information gathered in this process is used by EOS solely to develop an Accommodation Plan, which is an agreement between the employee and CMU regarding reasonable accommodations and services. This confidential information is only shared with appropriate personnel on a business need-to-know basis. Under the Americans with Disabilities Act (ADA) and Section 504 of the Rehabilitation Act of 1973, individuals with disabilities are assured services and protected from discrimination. To establish that an individual is covered under the ADA, the documentation must indicate that the disability substantially limits some major life activity, including learning and working. The following documentation requirements are provided to assure that documentation demonstrates an impact on a major life activity; is appropriate to verify eligibility; and supports the request for accommodations, academic adjustments and/or auxiliary aids. Documentation must come from an outside source and follow the suggested guidelines stated above. EOS does not perform any testing but can provide a list of agencies that perform such evaluations. The cost of obtaining documentation is borne by the individual requesting accommodations. If the initial documentation is incomplete or inadequate to determine the extent of the disability and reasonable accommodations, EOS has the discretion to require additional documentation. Any cost of obtaining additional documentation is also borne by the individual. You may request to update an existing Employee Individual Accommodation Plan by contacting employeeaccess@andrew.cmu.edu. EOS will initiate an interactive dialogue within five business days. If you have a short-term condition that substantially limits your ability to complete your day-to-day work at the university, you may be considered for assistance. If you believe you are in need of services due to a short-term condition, contact EOS at employeeaccess@andrew.cmu.edu or 412-268-3930. 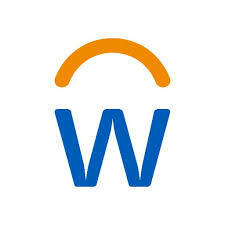 Visit the CMUWorks Service Center to self-identify a disability in Workday.